While the sixth-generation Ford Mustang just arrived not to long ago on our shores, news that Ford is working on a facelift has surfaced. For those in the know, the current Mustang has been on sale since 2013 and is about time it gets a little refreshing. Set to get the usual exterior tweaks that will include an updated grille, different lighting units on both ends and modified front and rear bumpers, the car will be getting a 10-speed automatic gearbox. The new gearbox is expected to be pair with both the 2.3-litre Ecoboost and 5.0-litre V8 engines and should be ready for sale sometime around 2018. With that said, it is not known whether the rest of the world other than America will be getting the updated gearbox. I am sure it is super low. RM pricing for the Mustang is all wrong. 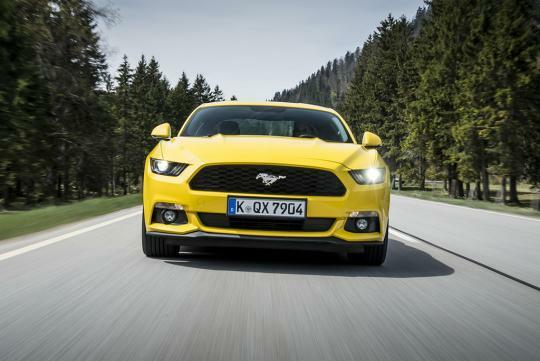 In USA, Mustang 5.0GT costs ard US$35k with every options in the book thrown in, street price. Its about the same price region as the Lexus ES350 over there. Our Mustang 5.0 cost a ridiculous $290k! Mustang has not been, and never shall be, a BMW M3, Porsche,competitor. It is not designed to be a lux coupe also. It has always been about big, affordable power for the masses. It just so happens that the current Mustang is so powerful that the exotic machines are starting to shiver in their pants.